Dropsie Avenue. Buy at Amazon. Dropsie Avenue (1995) is the saga of the death and rebirth of a New York neighborhood where Dutch, Irish, Italian, and Jewish immigrants built a city and a nation. The pageant of almost 500 years of United States history is played out in the lives of the dreamers, the strivers, the reformers, and the criminals on Dropsie Avenue, the same Bronx street where A Contract With God and A Life Force take place. 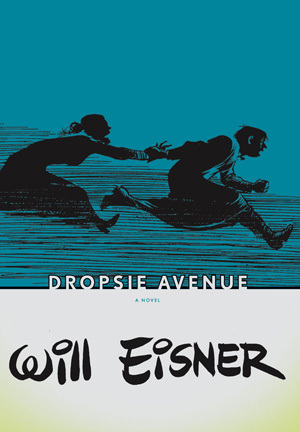 First published as Dropsie Avenue: The Neighborhood by Kitchen Sink Press in 1995 and reissued later as part of The Will Eisner Library imprint by DC Comics. 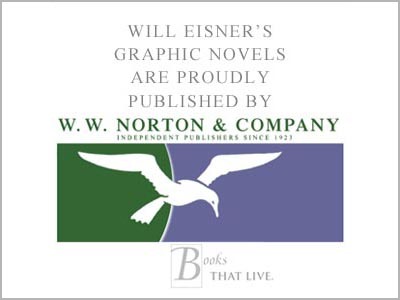 The book forms part of the 2006 hardcover collection The Contract with God Trilogy: Life on Dropsie Avenue published by W.W. Norton, together with A Contract With God and A Life Force.